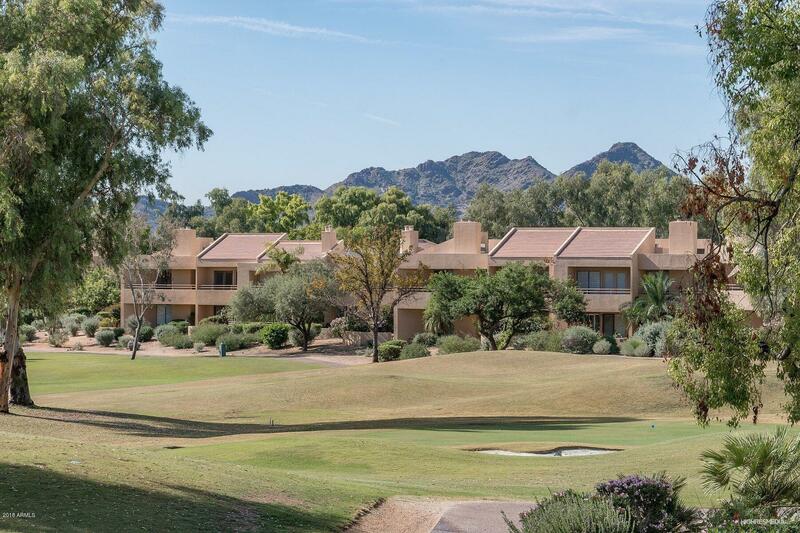 Just steps away from golf or tennis...The Courts at Gainey Ranch centers on healthy activity and sociability. The homes are designed to complement the desert setting and take advantage of outlooks to greens, golf and mountain views. Homeowners enjoy their own private community pool and spa, as well as all of the facilities of the Gainey Ranch tennis club; membership is included in ownership of every home. This home features 2 bedrooms, 2 baths, newly installed carpet and appliances, fresh paint, and magnificent golf course views. Homes at The Courts are offered to the appreciative few who recognize quality...at an unassuming price. Walk to the Estate club & take advantage olympic size pool, spa. media room, fitness and tennis!